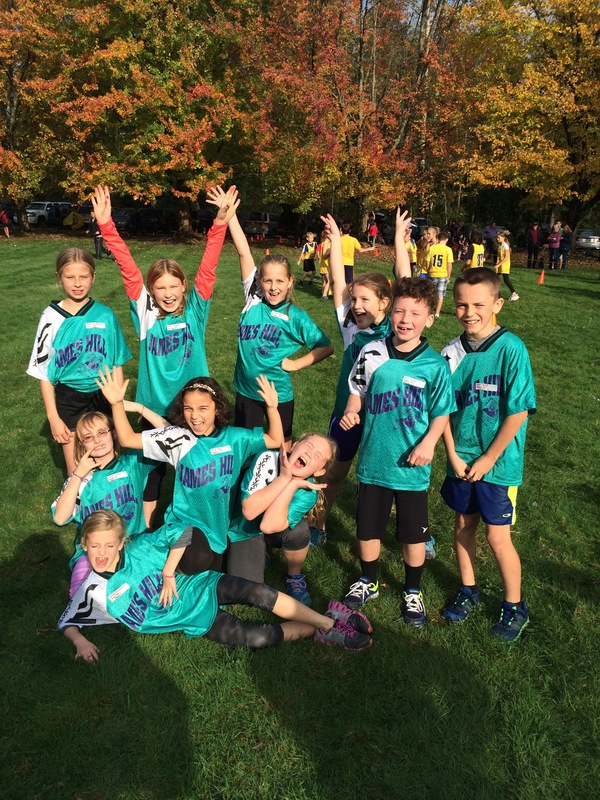 As a K-5 school, we take pride in the competitive and participatory athletics program at our school. The Grade 5 basketball team competes against other schools in the LSS family of schools during the season that runs January through March. Grade 4 basketball is coached by Jim Scheaff ([grand]parent volunteer) and practices are Wednesdays and Fridays from 8:00-8:40. There is no season for the grade 4’s so this is purely for skill development. Students in grades 3-5 have the opportunity to practice and qualify for the LSS family of schools track meet in May/June each year (coaches TBD). The school hosts our own meet and the top athletes qualify for both individual and team events for the regional meet. Students in grade 4-5 compete for the Golden Boot each January-March at James Hill. Students are placed on teams and play twice a week in the intramural league. The league winners face the “Super Staff” team for the Golden Boot. Students in grade 3 also play once a week for fun and skill development. For some physical fitness, when the fields are fairly dry, students run around our back field and the number of laps are recorded and accumulated for the year. All students can participate in this.